…at the New England Running Company Store at 43 Enon Street in North Beverly on Monday, July 13th from 7 PM until 9 PM. 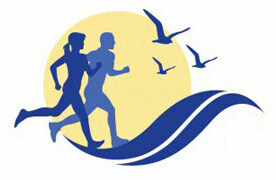 The discount for North Shore Striders on that night will be 20% on all non-sale/non-Garmin items. In addition to shopping with a 20% discount instead of the usual 10% there will be drinks and snacks and an opportunity to try on samples of the new North Shore Striders warm-up track jackets and pants. We have selected new jackets and pants from ASICS in Royal Blue (the same color as the new NSS singlets which are currently available from the North Shore Striders for only $20 and which you can also purchase on July 13th) and sporting the new NSS logo which was designed last summer. Note that prices shown on these web pages are suggested retail but you will only pay $49 for a jacket and $46 for the pants because you are a North Shore Strider . on Monday, July 13th from 7 PM until 9 PM! So write Monday, July 13th from 7 PM-9 PM on your calendars as the date on which you will save big on your running related purchases and your new NSS singlet, track jacket and pants.